Google is getting ready to offer credit cards to clients who use Google Adwords. The credit cards, according to Google, are going to be offered with a low, competitive interest rate and with no annual fee. 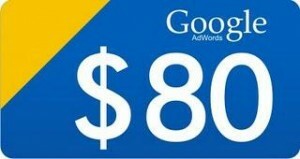 And according to Google, the cards (or the credit line) will only be good for use on buying Adwords ads. My initial thought on reading the news was, “hey, that’s pretty cool… a line of credit to pay for Google Adwords.” But then I thought about it for a few minutes, and realized that more than likely, the credit line is going to be burned through quickly with very little return on the investment. Now I’m not just being a naysayer here – I firmly believe that you have to spend money to make money. But in most cases, at least in my experience, Adwords advertisers are mostly unaware of the complexities in optimizing campaigns which makes them very susceptible to burning through money quickly. This is a bad idea for business owners because it’s a line of credit, which means it’s a debt that’s going to have to be paid back regardless of the return on investment. Is Adwords itself a bad idea? All I’m saying is that a line of credit for Adwords pay per click makes me very nervous knowing how most advertisers are inexperienced with generating actual conversions through Adwords. And what I see, ultimately, is a bunch of small business owners owing Google (or MasterCard) a lot of money for advertising revenue that didn’t convert into paying customers. Is a credit card from Google, for Google Adwords spend, a bad idea or a good idea for business owners? Would you take a credit card offer from Google?